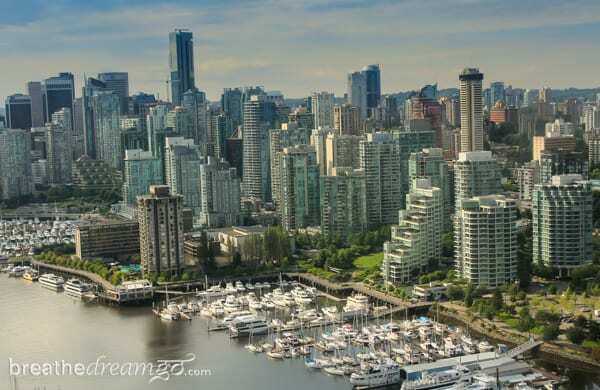 Vancouver Canada is a stunning city, set between the mountains and the sea. Wrapping around Burrard Inlet, and bounded by the Georgia Strait and the Coast Mountains, Vancouver offers sky watchers many spectacular views and vistas. Red streaked sunsets from English Bay beaches, a panorama of skyline and coastline from Grouse Mountain and the thrilling sight of seaplanes taking off and landing in Coal Harbour. On my first trip to Vancouver, many years ago, my hotel room faced Coal Harbour, which is an inner harbour surrounded on all sides by the urban sprawl of Vancouver. Watching the slender sail boats, whale-like cruise ships and agile seaplanes on the inner harbour delighted me. They spoke of the exotic allure of an ocean seaport and the history of rugged Canadian exploration. When I was in Vancouver this summer, I was thrilled to get a chance to take a flight from Harbour Air Seaplane’s Coal Harbour terminal to Salt Spring Island in the Gulf Islands and back, after a few lazy days on the laid-back island. Harbour Air Seaplane’s Coal Harbour terminal. 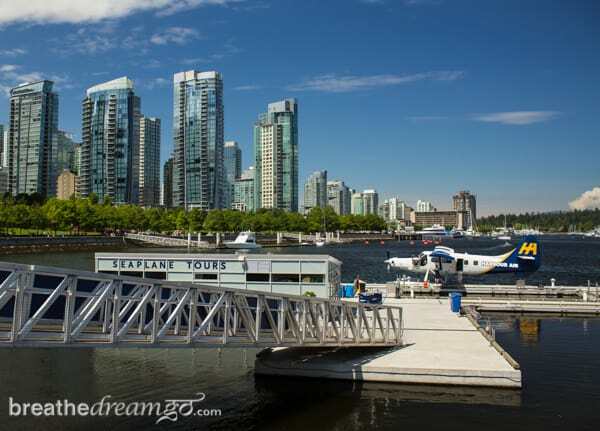 From the moment you arrive at the Harbour Air Seaplane terminal in Coal Harbour, in downtown Vancouver, the adventure begins. Check in at the glass-enclosed terminal building and enjoy free coffee and healthy snacks in the comfortable lounge with stunning harbour views. When it’s time to board, you simply walk out onto the dock and hand your luggage to the attendant, who puts it into a very small cargo hold. 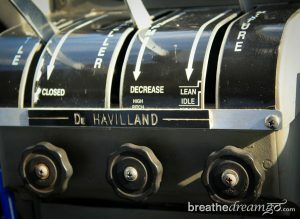 On my flight out, I was one of about seven passengers aboard a DeHavilland Canada DHC-3 Single Turbine Otter. The small plane can hold about 10-14 passengers. It’s a different experience than flying on your average commercial flight. For one thing, you can’t bring any luggage in the cabin. There’s no food or drinks served. And the safety demonstration was a video shown on a tablet computer. Here’s A passengers guide to seaplanes. View of Vancouver and Coal Harbour from the air. Once strapped in, we jet-skied across the inner harbour and gently ascended, banking sharply, to fly over the Lion’s Gate Bridge and out towards the open waters of the Georgia Strait towards the Gulf Islands. Views of the city skyline filled the windows on the left and the Coast Mountains filled those on the right. Ahead, the undulating curves of the islands rose out of the shining sea. 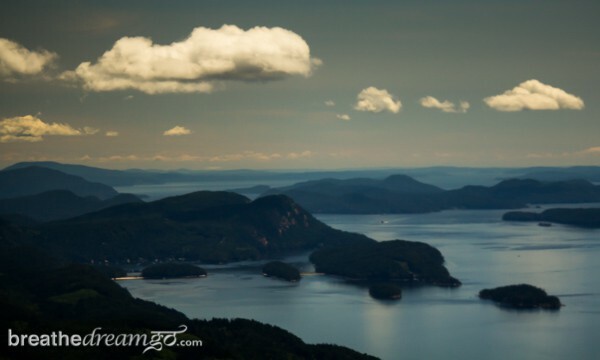 Flying at speed of about 110-130 miles per hour, and at a low altitude (under 3,000 metres), it takes about 20 minutes to get to Salt Spring Island and the views are non-stop gorgeous. Gulf Islands from the air. Arriving by seaplane in Ganges’ picturesque harbour on a sunny Saturday morning in June, just in time for the famous artisan’s and farmer’s market, was the highlight of the trip. 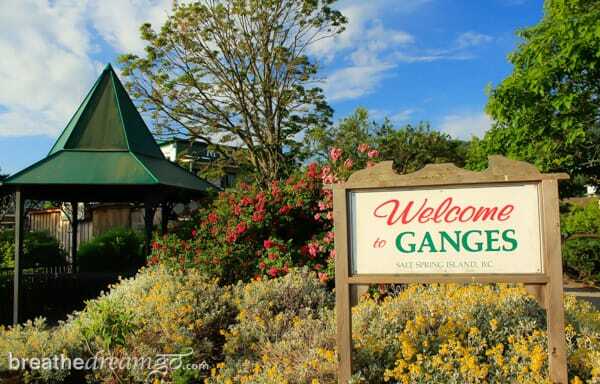 Ganges is a village, and the centre of Salt Spring Island. You may be interested to know that Ganges was named after the British naval ship HMS Ganges. The HMS Ganges that visited Salt Spring Island was built in in Bombay, India. Construction was of Malabar teak and she was launched on November 10, 1821. On my flight back from Salt Spring Island, I was lucky to fly aboard a DHC-2 Beaver — and in the co-pilot seat. This small-but-mighty bush plane, which only seats 5-6 passengers, is legendary in Canada. Several years ago when I was in Sault Ste. Marie to discover Algoma, Group of Seven territory, I stopped into the Bush Plane Heritage Centre for a tour and learned about the history and significance of the Beaver, which was in production from 1947-1965. From the Bush Plane Heritage Centre site: “A true jack-of-all-trades the Beaver flew with floats, wheels or skis. Amongst its many uses were forest patrol, waterbombing, parachute drops, aerial photography, aerial fish stocking, transportation and cargo delivery. The name Beaver was consistent with de Havilland’s practice of giving their Canadian designs animal names, and like its animal namesake, the Beaver was a hard bush worker. To see the Beaver taking off and landing in Vancouver harbour, check out this video that shows various operators flying, including Harbour Air Seaplanes. 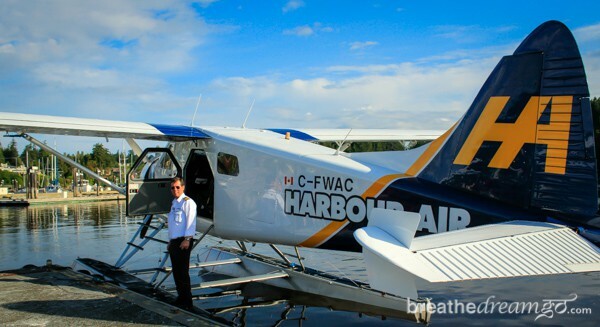 The Harbour Air flight from Vancouver to Salt Spring Island is the company’s Canadian Signature Experience. You can stay for a few days on the island, as I did; or simply go for a tour, there and back. Harbour Air lists their routes and schedules here and some of the tours they offer here. I would say a seaplane tour is a MUST-DO activity when in Vancouver.